Those of us who play video games regularly already know that, aside from entertainment, video games can have other (often unintended) benefits. And while I'm not really sold that playing Just Dance 3 on the Wii should really count as exercise, there are skills to learn and practice while playing games. So if you've been wanting to get an XBOX 360 for the living room and still can't convince your wife, send her a copy of this article a friend sent me recently, Kids and video games: Why children should play more [Venturebeat.com]. Video games can promote cooperation, teamwork, problem solving, planning and thinking "outside of the box." "...The Federation of American Scientists (FAS) states that kids actually need more, not less, video game play as a result. Citing games’ ability to prepare workers for the increasingly competitive global job market, the organization says that games promote strategic thinking, interpretative analysis, plan formulation, and ability to respond to change." Despite what many parents may think (and what many bloggers may, ahem, blog about), not all video games are violent. In fact, the vast majority are not. And when you compare playing a game to more passive forms of entertainment like watching television, the differences are easilly contrasted. I just wish this research existed when I was twelve. I'm a sucker for zombie stuff (is that weird to say?) and I'm also a fan of video games. But as a father, the trailer for the upcoming Dead Island (releasing on September 6) kind of got to me. Even though it's kind of a cliché (even in the world of zombies), and even though it uses some tried-and-true techniques to draw the viewer in (reverse time, slow motion) it's still the best trailer I've ever seen for a video game. And I say that because it's the only trailer I thought about the next day completely unprompted. I don't know if that's because I'm a Dad or not, but it's worth watching I think. Just don't watch it with your kids. Now I'm wondering if the game can possibly be as good as the trailer. Which is what they want I guess. Looking for some very last minute gift ideas for Father's Day? Here is a quick list of the top things I think that will be perfect for the dad in your life. Flip Video Camera - The Flip Video Camera is ultra-portable, ultra compact, takes great looking 640x480 resolution video and is under $200. Way under $200 actually. Check out what I wrote about the newest version (the Flip Video Mino) over at Babble.com, or buy the Mino (for $179.99) or the Flip Video Ultra (for $118) at Amazon.com. The XBOX 360 is a perfect Father's Day gift. Because not only will Dad love to play video games on it, but you can also stream photos, music and videos to it as well. Check out my post about it here, and buy one at Amazon.com. Canon Digital Rebel XSi - Let me guess. The new baby has arrived (or is arriving soon) and you've been considering a new digital camera, but you're unsure if you need a full-on Digital SLR camera. Well, trust me, you do. The images you'll get out of a great camera, even with little knowledge of what you're doing, will be way better than most point and shoots. Plus, your baby is only going to be a baby for a short time, so invest in a good camera. The Canon Rebel XSi is 12 mega-pixels of awesomeness, and should last you for a while. And trust me, after getting your first few good images from it by accident, you're going to want to learn more about your camera. It's well worth the investment. 50MM Lens for your Digital SLR Camera - OK. So you've taken my advice and bought a DSLR camera, or you've already bought one, then the next thing you absolutely need is a 50mm lens. Called a "prime" lens because it has no zoom, the 50mm lens is considered the closest lens to what the human eye sees. And on a DSLR camera it's perfect for portraits. All of this adds up to a lens that is great for taking pictures of kids because it's great in low light situations (because of the wide aperture) and it takes pictures very quickly (again, because of the wide aperture). You can get a great one with auto focus for a Canon camera for $325 (my recommendation, pictured) but you can get a really good one with manual focus for just $89.74. Either way, you'll be happy you did. (And if you shoot Nikon instead of Canon, check out this 50MM lens). Diaper Bag just for Dad - Back when I was a new dad, there were almost no choices for good diaper bags for dads. These days, there are tons of options. You can choose from the Diaper Dude (pictured), a Dad Backpack from Dadgear and even a wearable Diaper Vest from Dadgear. All will probably work just fine and when picking, a lot of it comes down to personal taste. A gift card for Father's Day - I know, I know. I promised five. But this sixth one is kind of a cheat anyway. If you can't think of the perfect gift for your Dad (or your kid's dad) this Father's Day, you can always get him a gift card from your favorite store. And if you get him from an online store like Amazon, you can literally get it at the last second and print it out. The card however you'll have to run down to the grocery store for. Halo 3. My most recent obsession. I've written here before about how much I love my XBOX 360, but recently I haven't been using it very much to listen to music or view photos on the TV. Halo 3 for the XBOX 360 launched a week and a half ago, and I have to admit all of my free time since then has been spent in front of my TV with a controller in my hand. Everything about it rules, but the multiplayer aspect is the best. I'm not sure exactly why other game companies don't just copy what Bungie Studios does with Halo, but it is hands down the best online multiplayer game on a console. 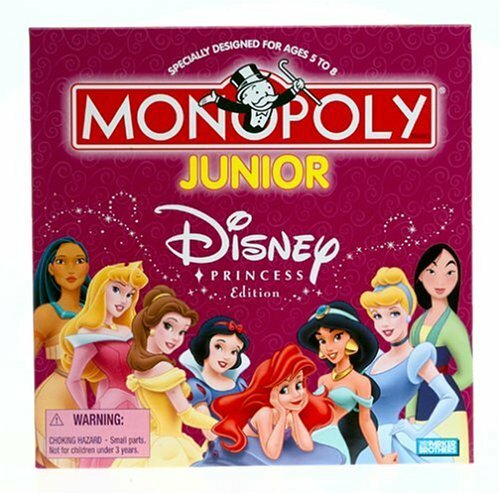 But from a dad's perspective beware, this isn't a game for kids. It's a violent shoot-em up that, while fun, probably isn't appropriate for small children. Also, if you've got a son (or daughter? but I doubt it) playing the game at home and online, know that the language among the players might not be what you would ideally want him to hear. But then again, if he's playing Halo 3 online, it probably isn't anything he hasn't heard before. So if you're a dad and you've got an XBOX 360, it's a must-own game. In fact, it's probably worth buying an XBOX 360 for too. Buy Halo 3 for $59.99 from Amazon.com. And if you don't have an XBOX 360 yet, you can always pick up an XBOX 360 Elite system at Amazon.com. Sometimes my gut reaction is just wrong. 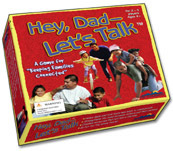 I found a press release the other day for a board game called “Hey Dad - Let’s Talk,” designed to encourage dads and their children to communicate. At first I wanted to mock it. I know I’m new to being a dad, but how hard is it to be interested in what your kids are up to and talk to them about it? But the more I thought about it, the more I realized that things aren’t so simple for everyone. Every situation and relationship is different, and if this game helps fathers connect with their children, then that’s a good thing. And I certainly shouldn’t judge.